Add team members to your Collab using the “Team” link in the navigation bar on the left. Only members of the team will be able to launch simulations. If this is a public collab, anyone with an HBP account will be able to view the results. If it is a private collab, only team members will be able to view results. Request an allocation of compute time on the platform, using the “Resource Manager” link. Run simulations, using the “Job Manager” link. 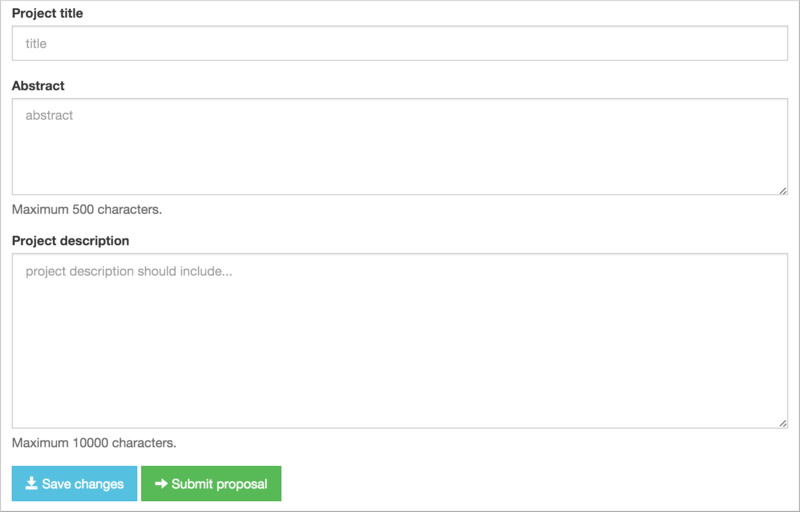 Using the Resource Manager form, request test access to the platform by entering a project title and a brief abstract explaining why you wish to use the platform. It is not necessary to fill in the “Project description” field. 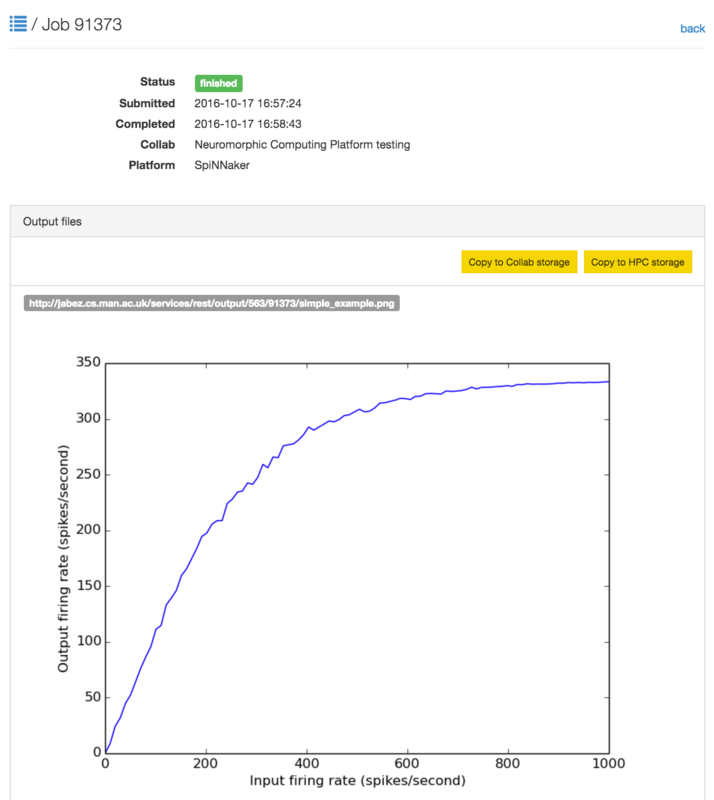 For more information on compute time allocations, see Requesting access to the platform. Leave the other text boxes empty, and click “Submit”. The job will be submitted to the queue, and will appear in the list of jobs with a “submitted” label. Unless the platform is very busy, this job should run within a few minutes on the large-scale SpiNNaker system in Manchester. Once the simulation is finished you will receive an e-mail, and on refreshing the job list the status will change to “finished”. Once the job is completed, click on the magnifying glass icon to see the job results. For more information on running simulations with the platform, see Submitting a simulation job. The results of your simulation are now available on a file server attached to the SpiNNaker system. This storage is only temporary, however; after three months, your files may be deleted to free up space. For this reason, therefore, we recommend either downloading the files to your local machine or copying them to longer-term storage within the Human Brain Project infrastructure. For now we will copy the files to Collab Storage by clicking the button “Copy to Collab storage”. If you now click on the link “Storage” in the left-hand menu, you will see the files produced by your simulation.